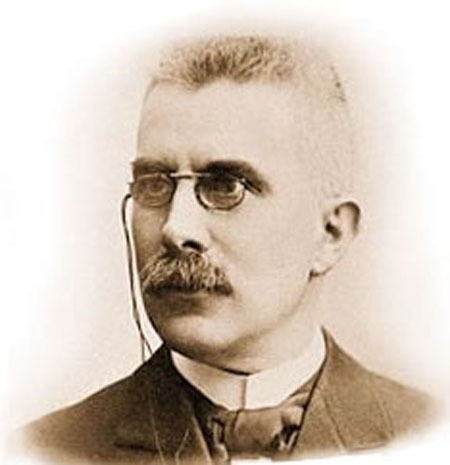 Le Châtelier was born in Paris on October 8, 1850, into a family of scientists and engineers. His father encouraged him to pursue a scientific career; Le Châtelier attended the prestigious École Polytechnique after spending time in the military. In 1877 Le Châtelier became a professor of chemistry at École des Mines and remained an educator throughout his career, obtaining posts at various schools including the College de France and the Sorbonne. He also became an advocate for educational reform and championed a more hands ­on teaching methodology. His initial studies focused on applied science dealing with cements and ceramics. This research required subjecting materials to high temperatures and pressures. From this research he delineated his principle of equilibrium in 1884. It states that a system in equilibrium will react characteristically to changes: if one of the conditions of the system is altered, a shift will occur to minimize the effects of that change. An application of this principle is that if a reaction is difficult to initiate, then the reactants can be subjected to certain stresses, which will accelerate the chemical reaction process. During this research into high ­temperature reactions, Le Châtelier required more precise instruments to measure accurately the changes in temperature. In 1887 he invented a thermocouple that used the combination of a platinum wire and a platinum alloy wire. The difference in temperature of the two conductive metals produced an electrical current. Changes in the current strength could be measured and used to determine the temperature. Le Châtelier refined many other devices, including miners’ lamps and metallurgical microscopes. His work in thermodynamics also involved studying gas explosions and blast furnaces. Le Châtelier conducted experiments on many gases to determine under what conditions and temperatures they would explode. One result of these studies was the invention of the acetylene torch. Le Châtelier continued to teach and conduct research for many years. In 1916 he was awarded the Davy Medal by the British Royal Society. He retired from his position at École des Mines in 1919. Le Châtelier died in France on September 17, 1936. Le Châtelier’s legacy rests on his law of chemical equilibrium, which enabled scientists to predict how a system will react to changes in pressure and temperature. In addition, the many connections he made between theoretical science and industrial applications resulted in technological advances that directly influenced industry and daily life. During his lifetime Le Châtelier gladly shared his techniques for studying thermodynamics and what he learned. He taught hundreds of students and published over 500 books and articles. He felt that students needed to learn the general principles of chemistry and how to expand their knowledge rather than memorize exhaustive lists. He argued for educational reform in France. His refinements and inventions saved the lives of miners in Europe, preventing deadly mine explosions. Blast furnaces incorporated his research to increase productivity. Another scientist, FRITZ HABER, using Le Châtelier’s law of equilibrium, mastered the process of producing ammonia on a commercial scale, something Le Châtelier also attempted. Several of Le Châtelier’s inventions remain in use today. Thermocouples continue to be used for accurate, high­ temperature measurements. Metal workers and welders use the acetylene torch in construction and other industries. Blast furnaces still produce steel using his more efficient technique of preheating gases before they enter the main chamber by using the hot exhaust. Finally, his principle of equilibrium led to applications for the phase rule, which predicts how temperature, pressure, and concentration of components affect phase changes of matter. Throughout his career, Le Châtelier showed how science could be used to solve practical problems. He firmly established the study of thermodynamics as both a theoretical and applied science.